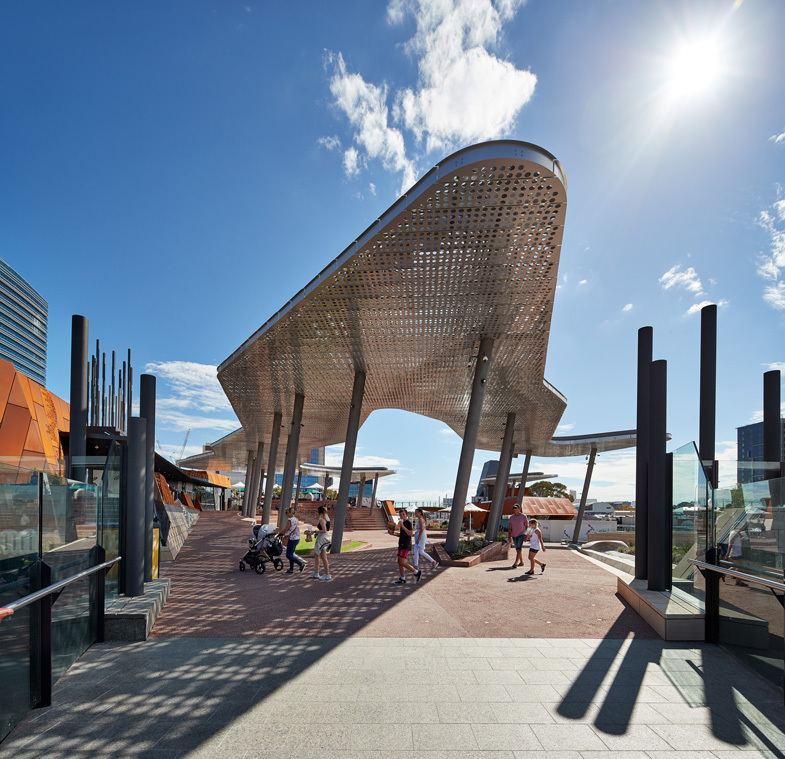 Yagan Square is a project of local and state significance for the City of Perth and Western Australia respectively. 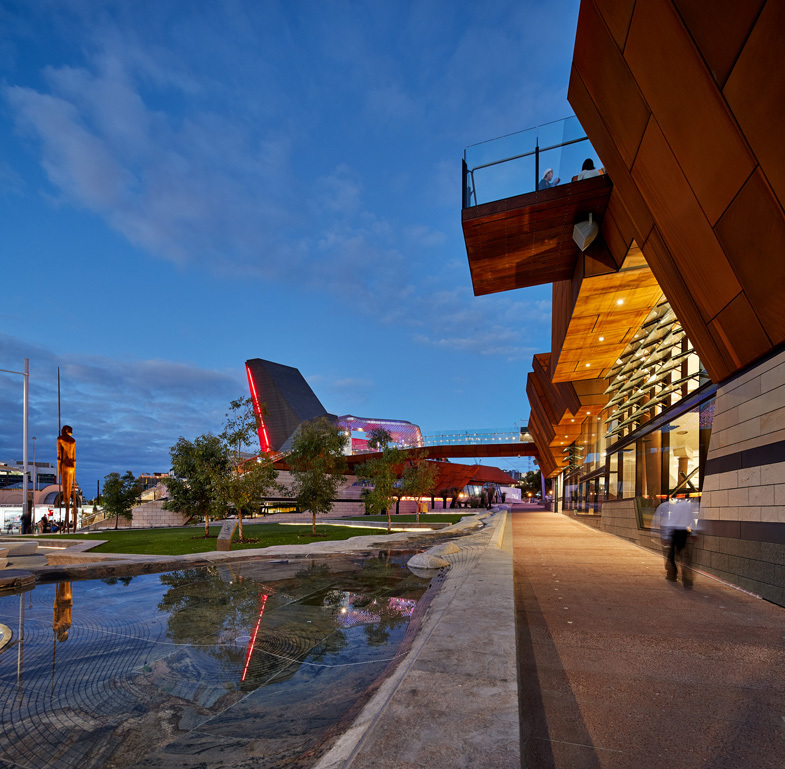 It is located at the east end of the new MRA Citylink development and is a major investment in the cultural and civic infrastructure of the city. 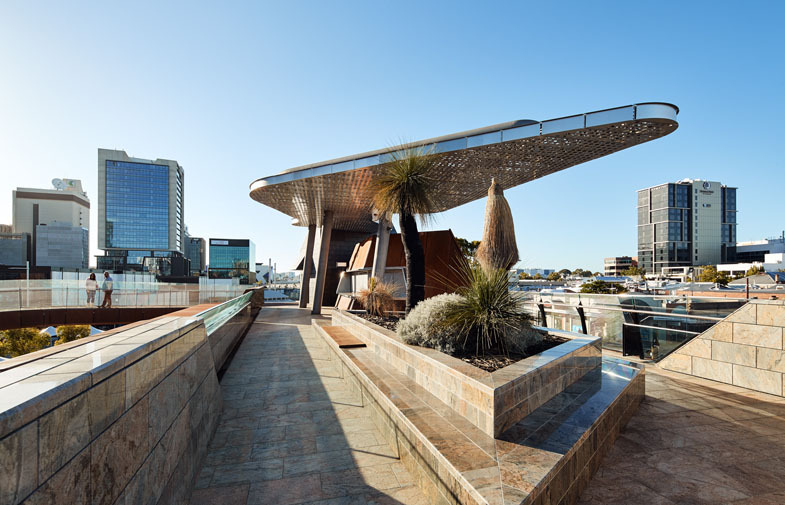 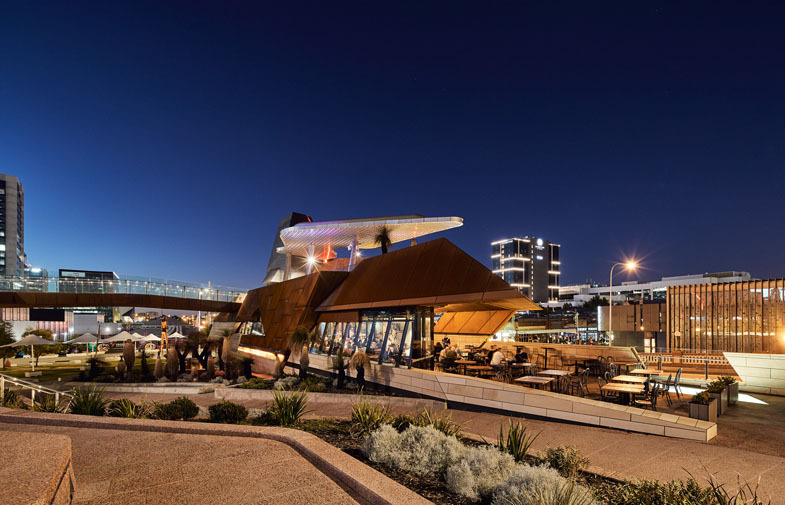 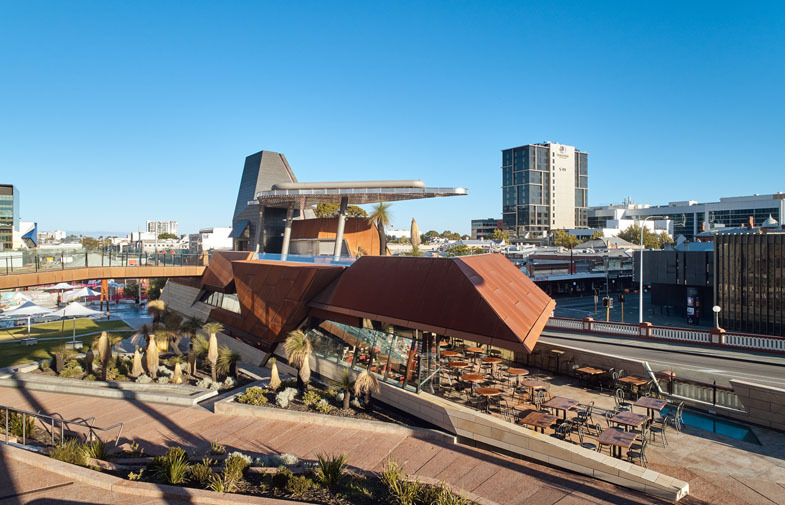 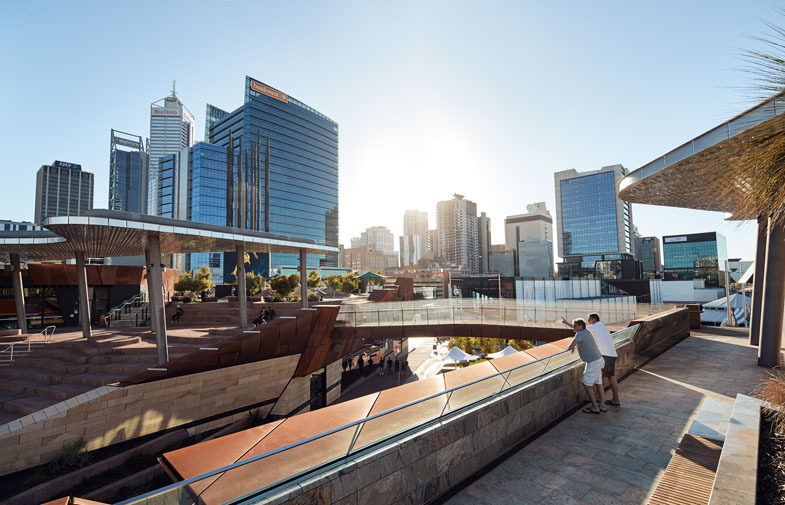 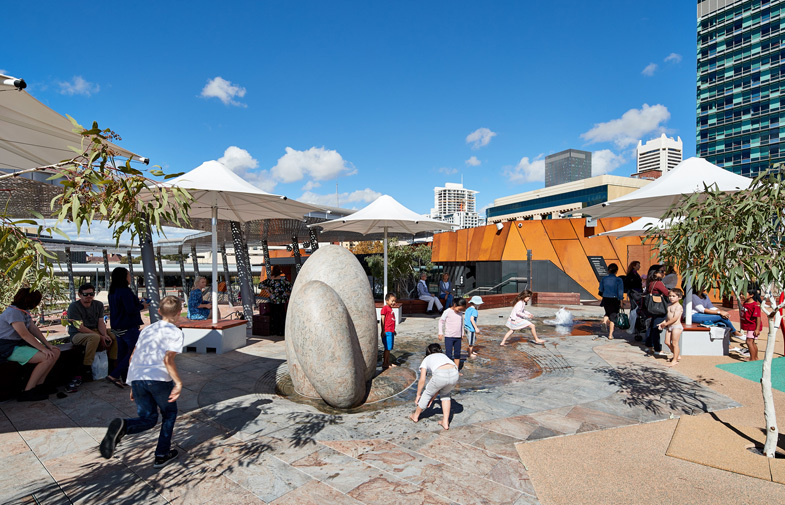 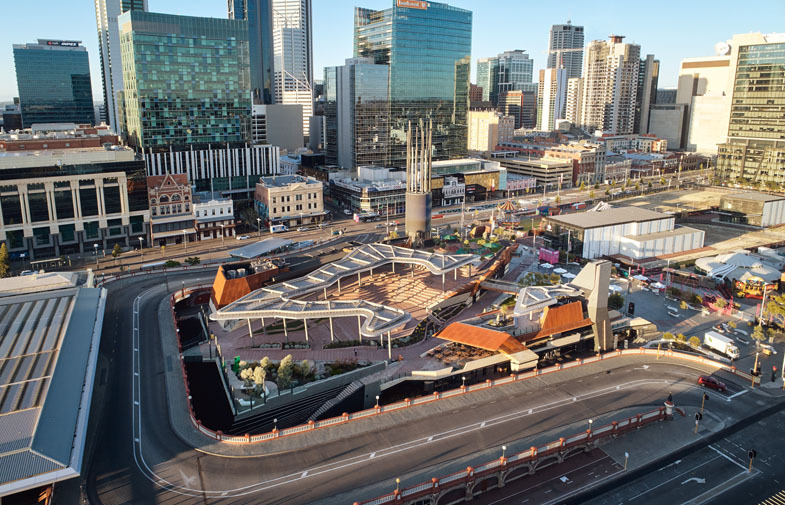 Yagan Square will see the return of food, community and city life to the Horseshoe Bridge and be a place for people to meet, connect, discover and celebrate Perth and Western Australia’s culture, produce, heritage and environment. 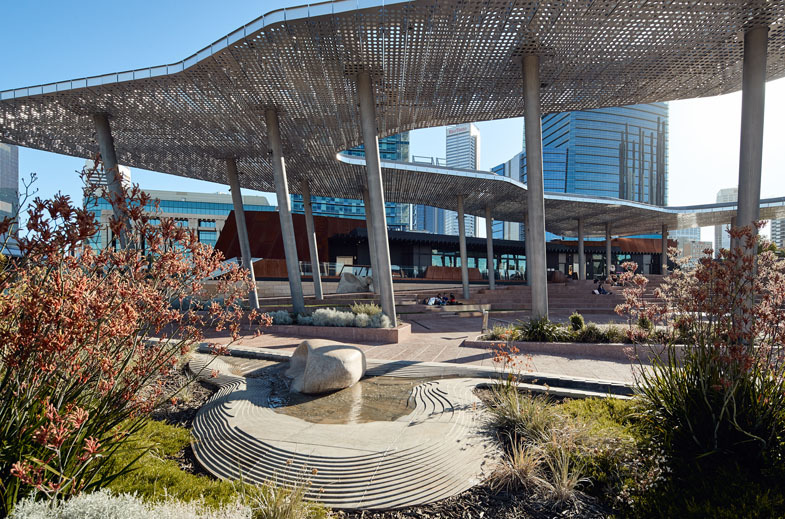 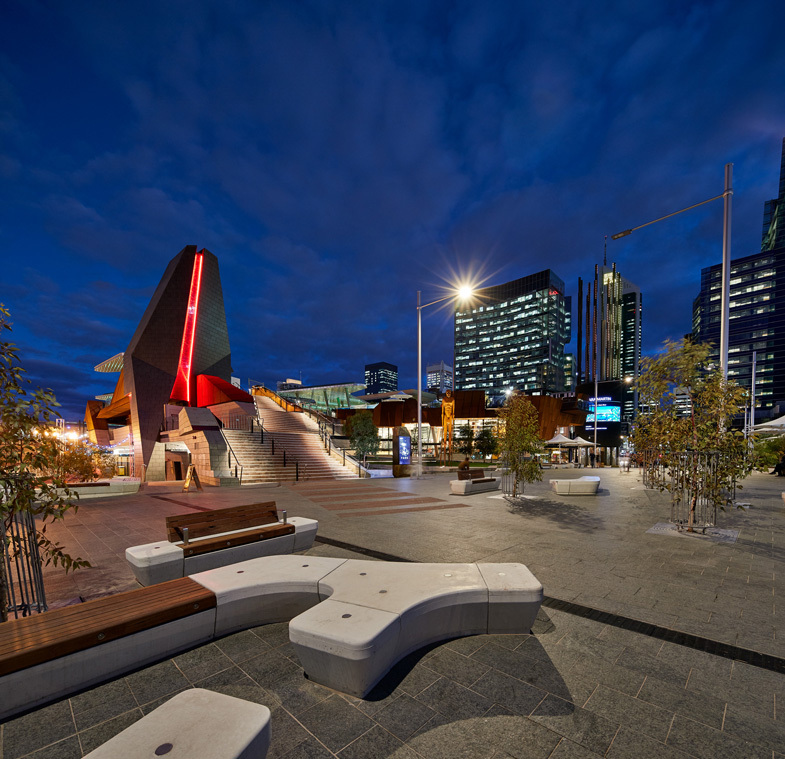 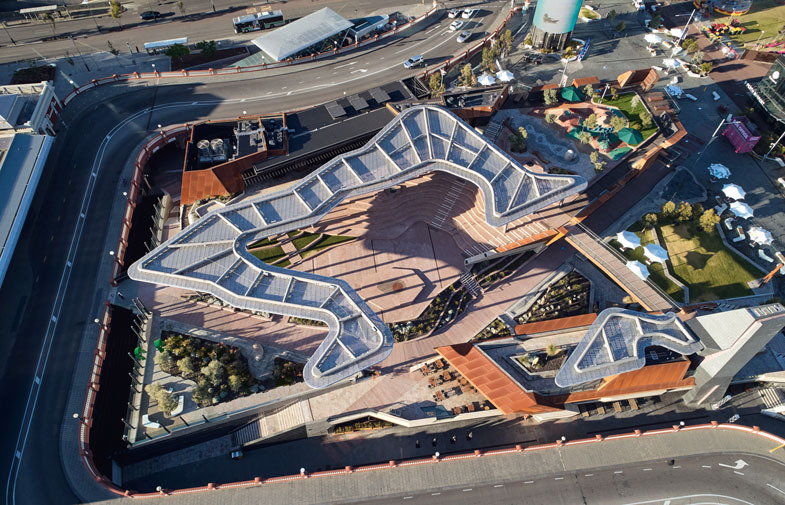 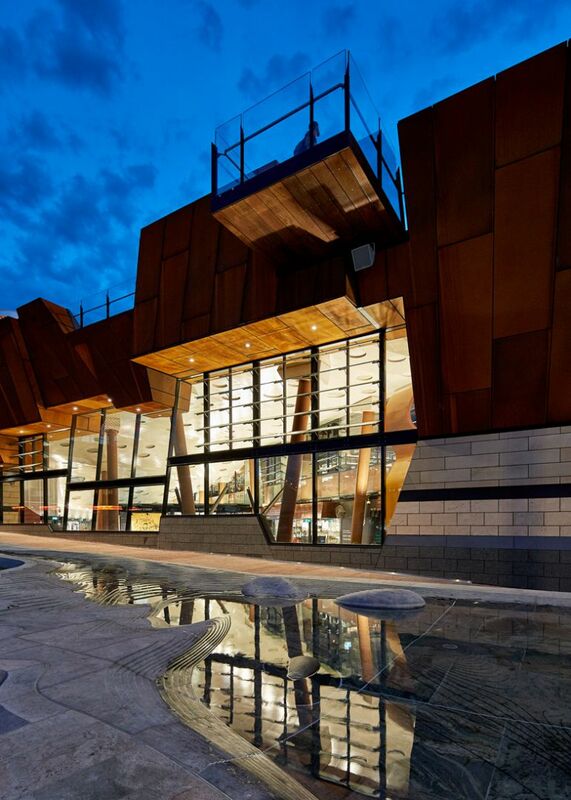 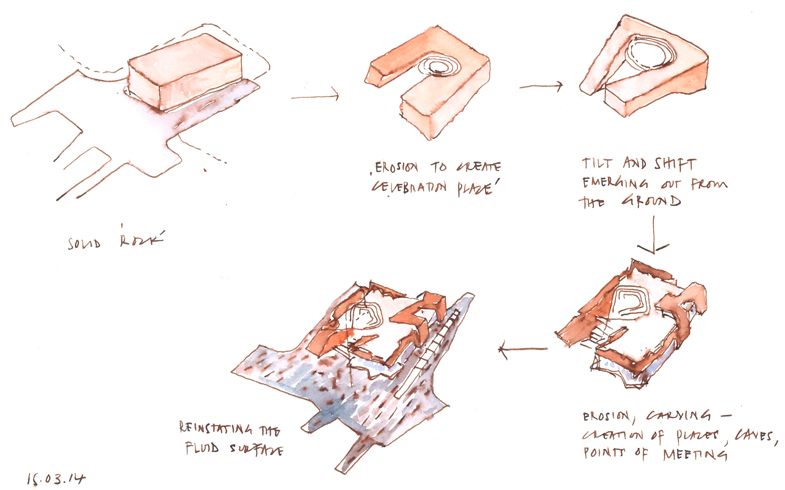 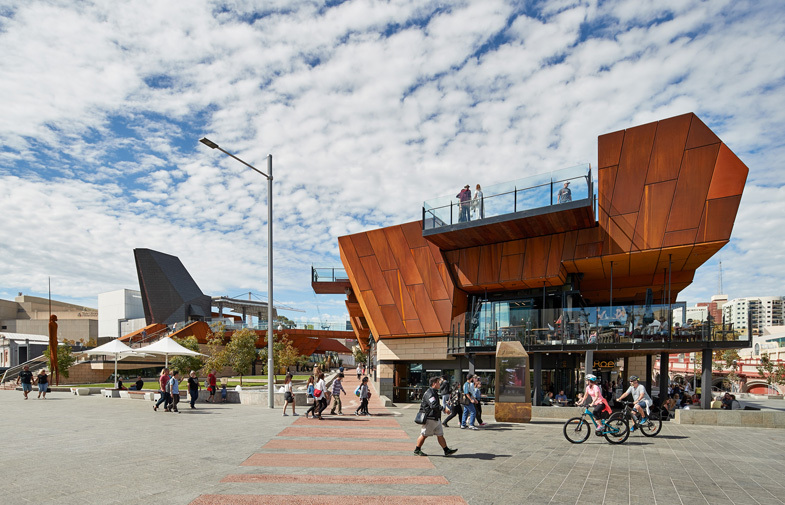 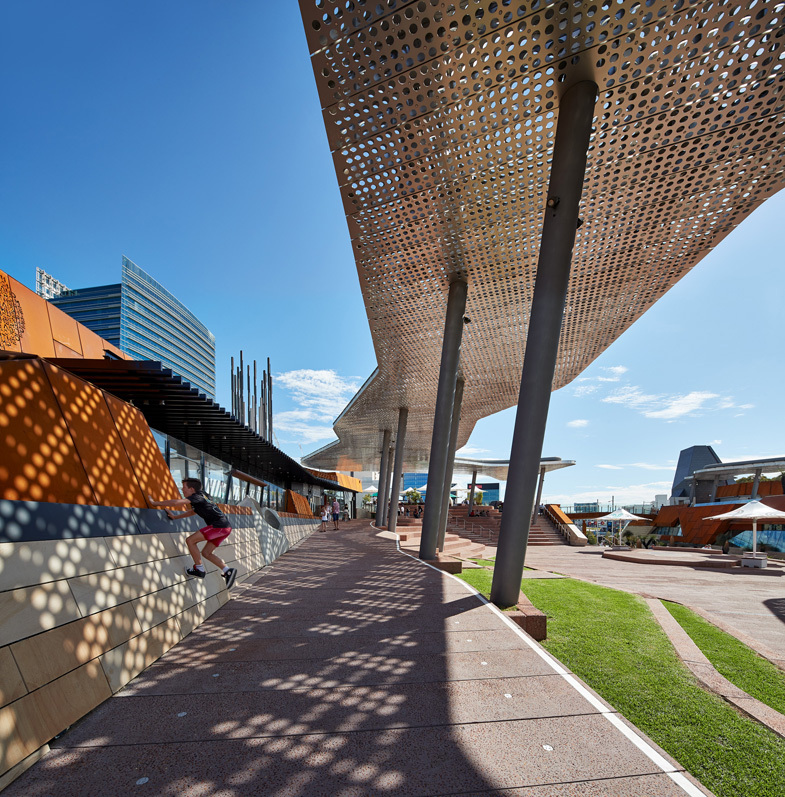 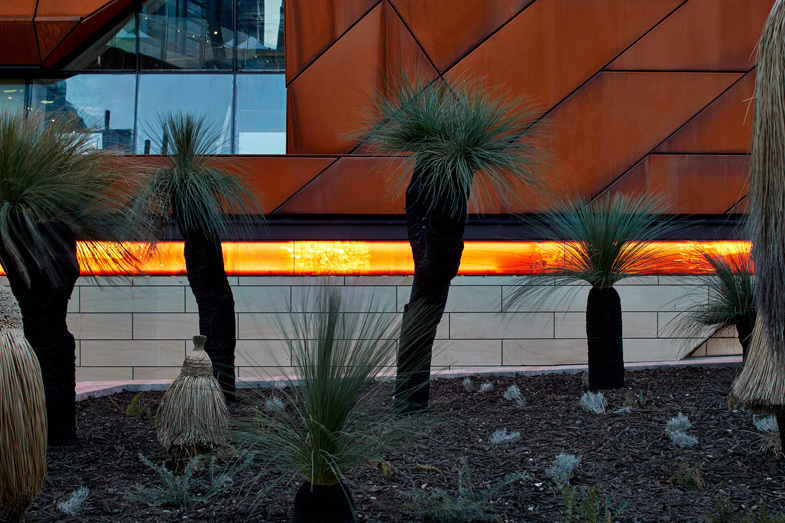 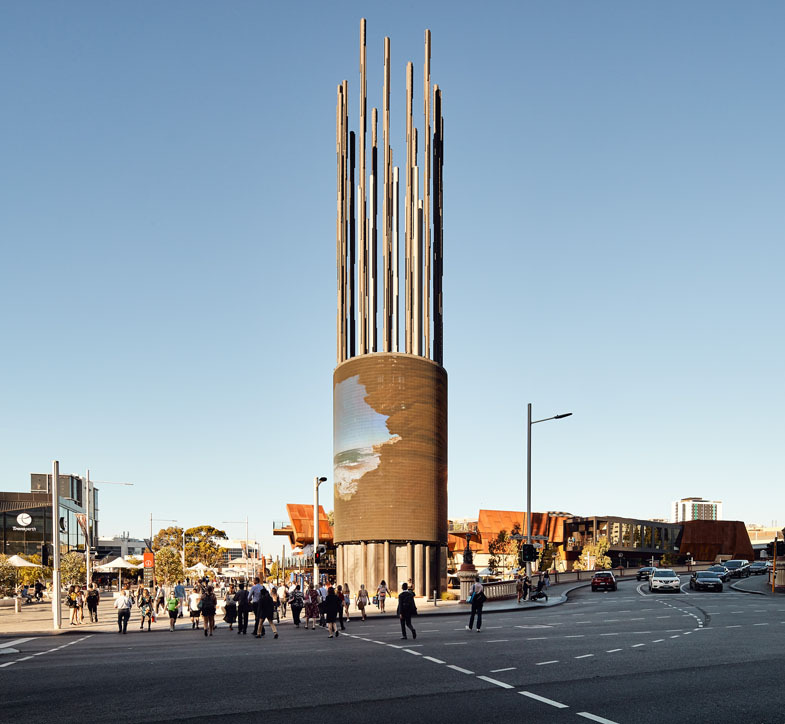 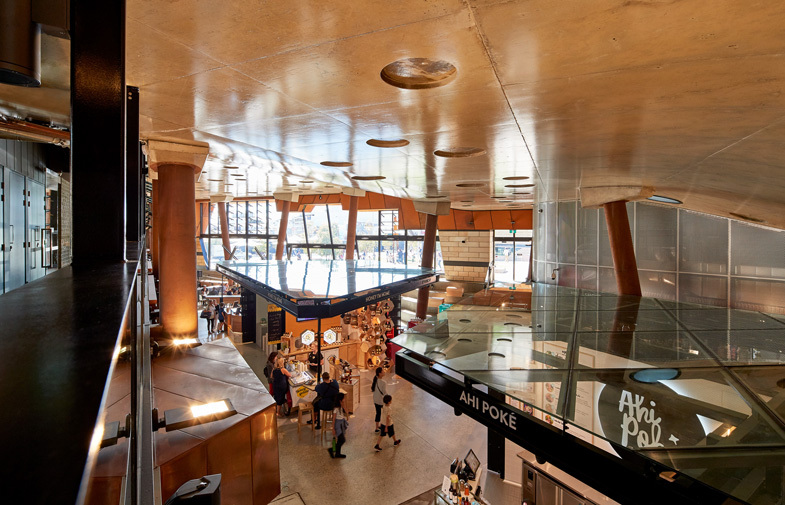 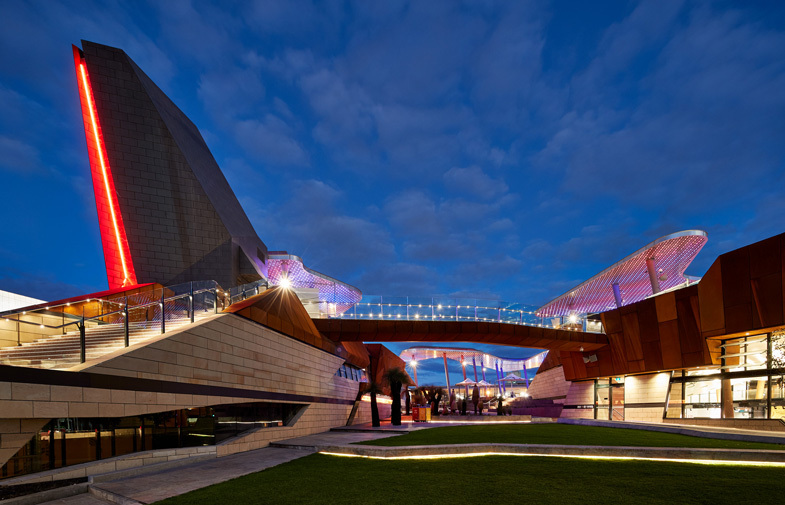 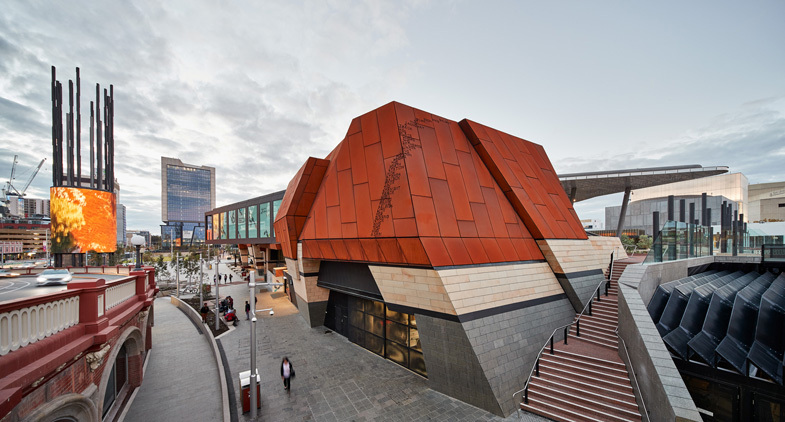 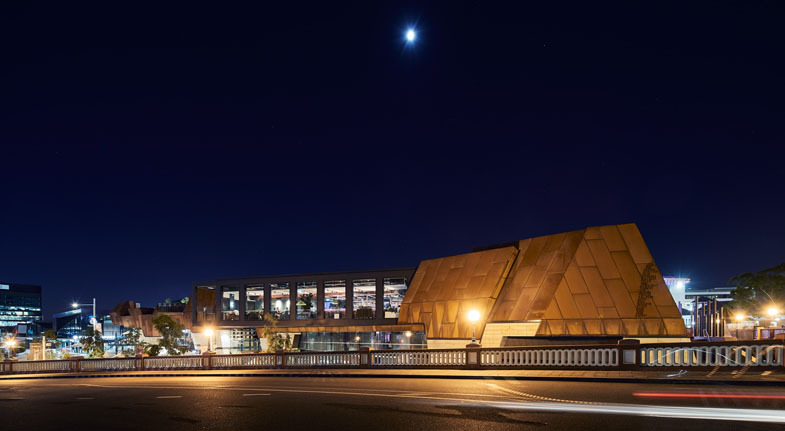 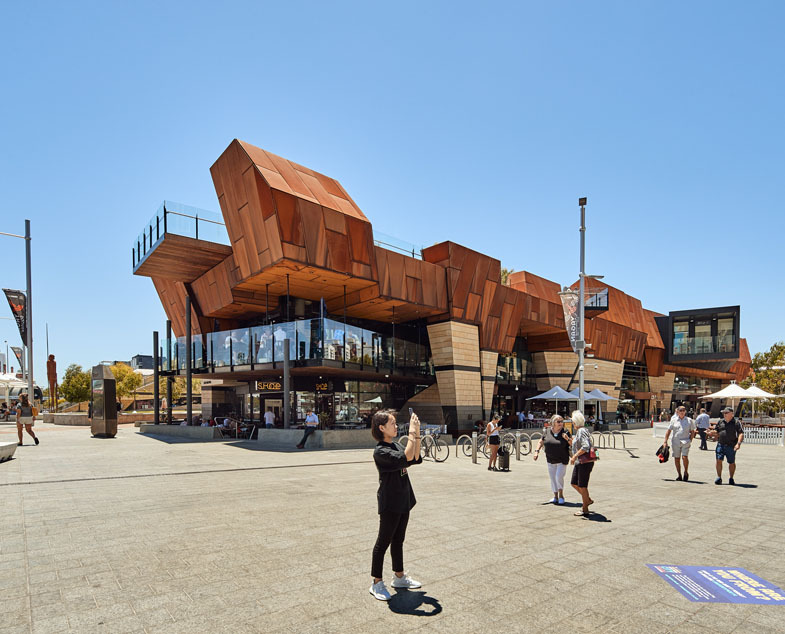 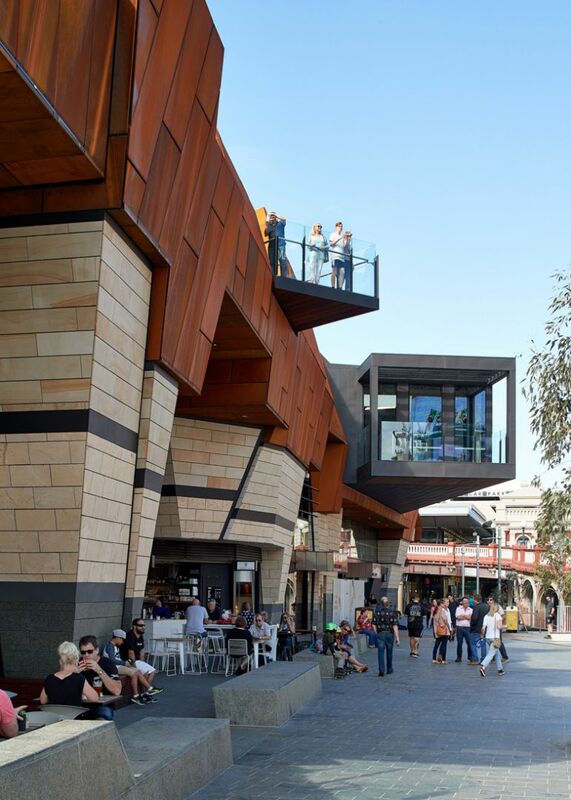 The design has a clear cultural idea about the place of Yagan Square within the city. 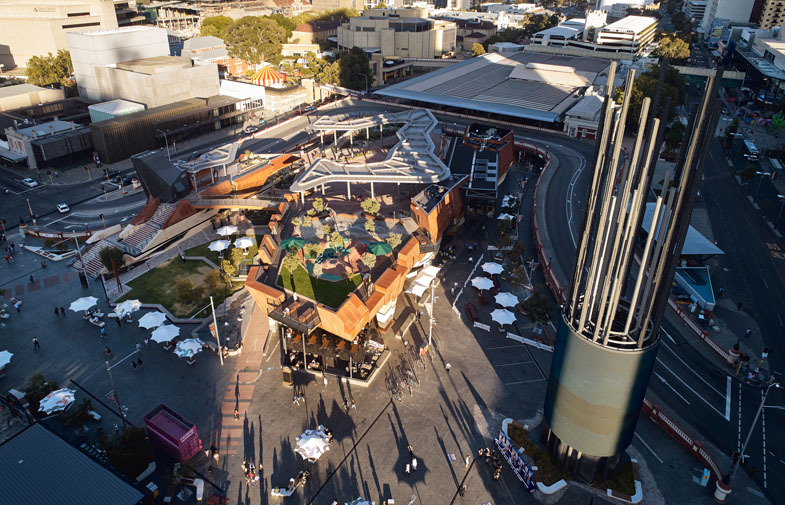 The composition of the William Street Mall, digital tower, the retail buildings and landscape are arranged to make and enhance connections and linkages to the adjacent areas of the city and Northbridge. 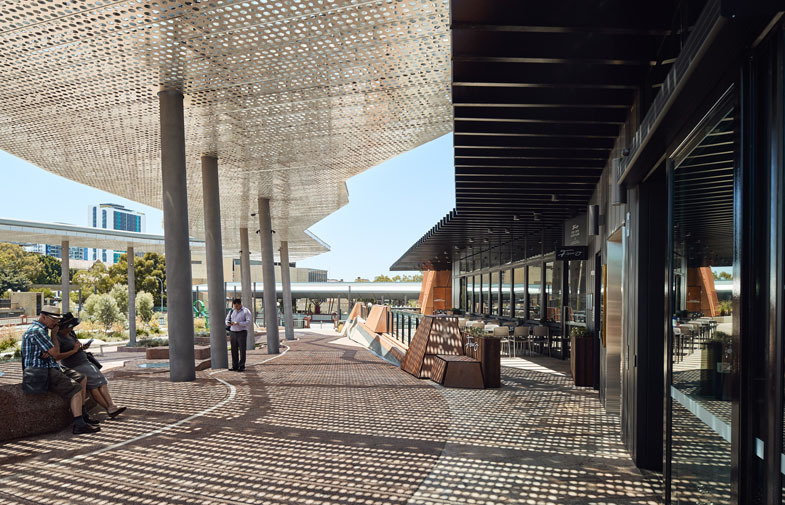 The active retail programmes and passive landscape elements are arranged to optimise the engagement of the public with the place. 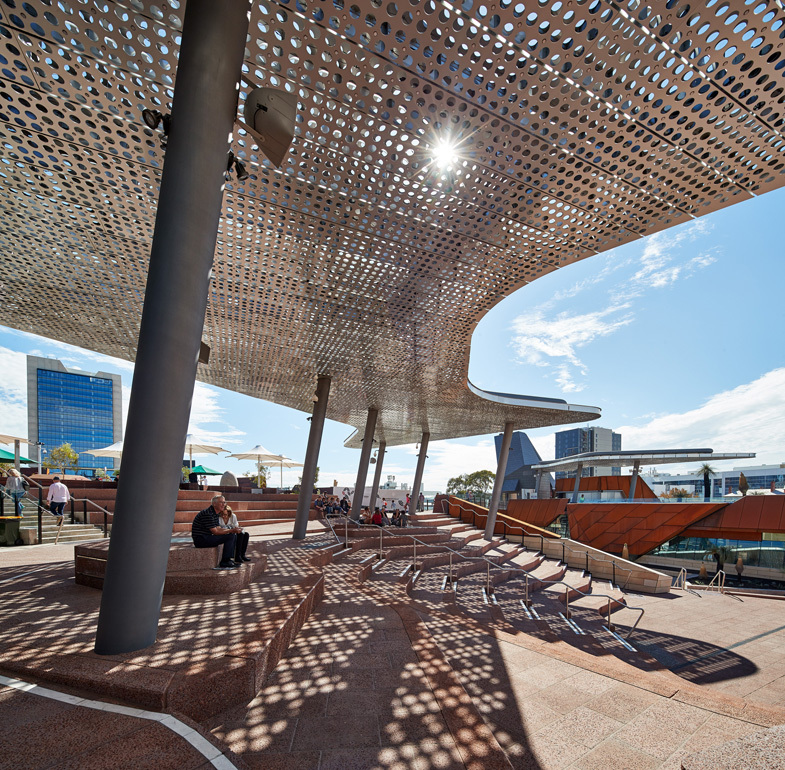 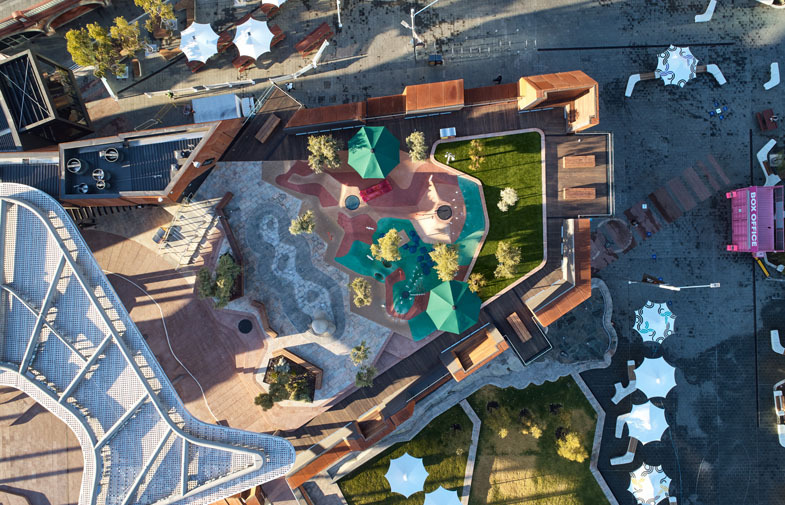 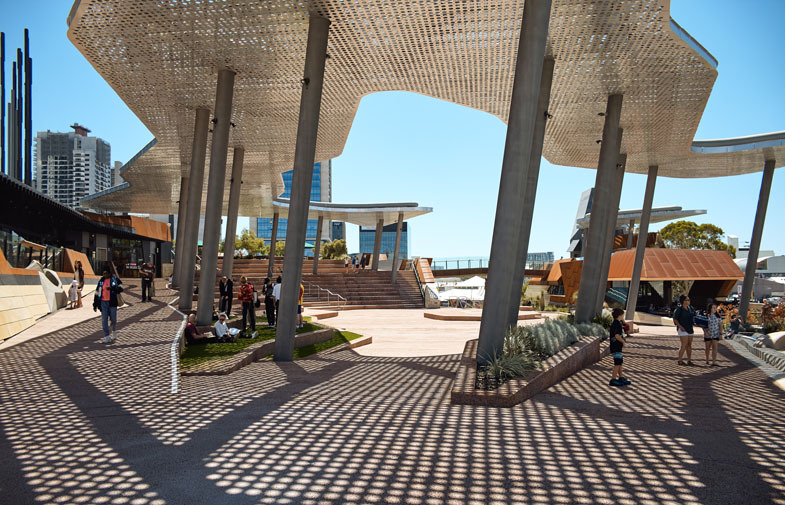 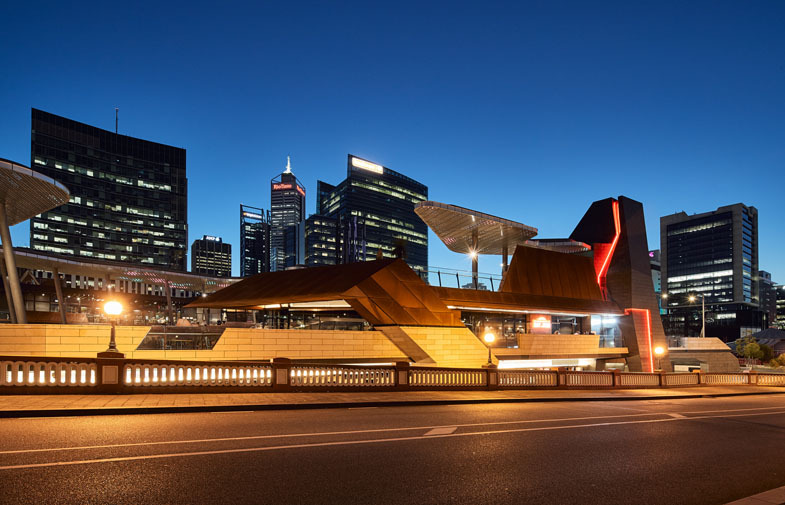 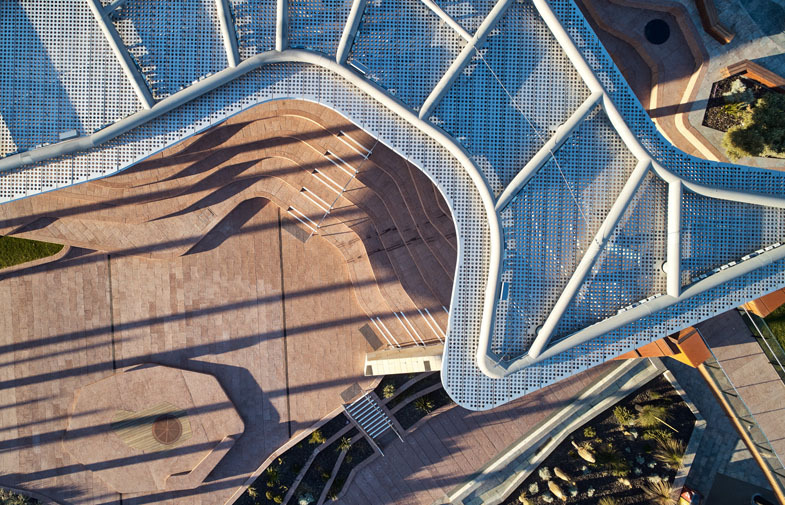 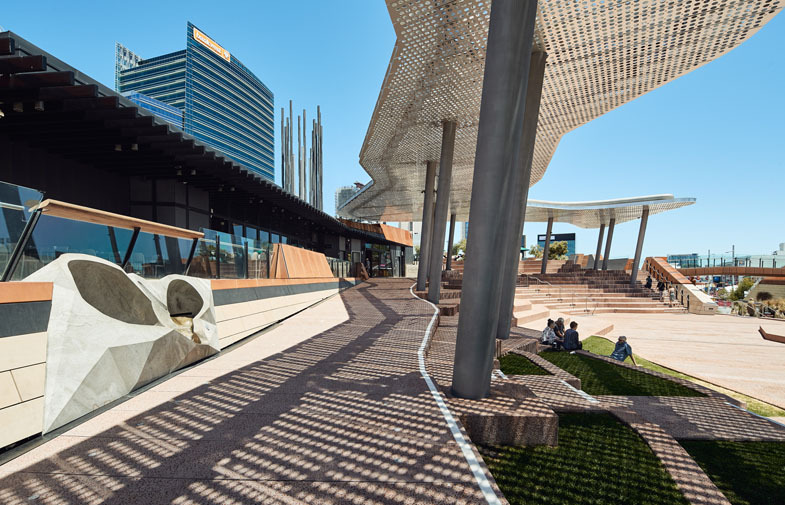 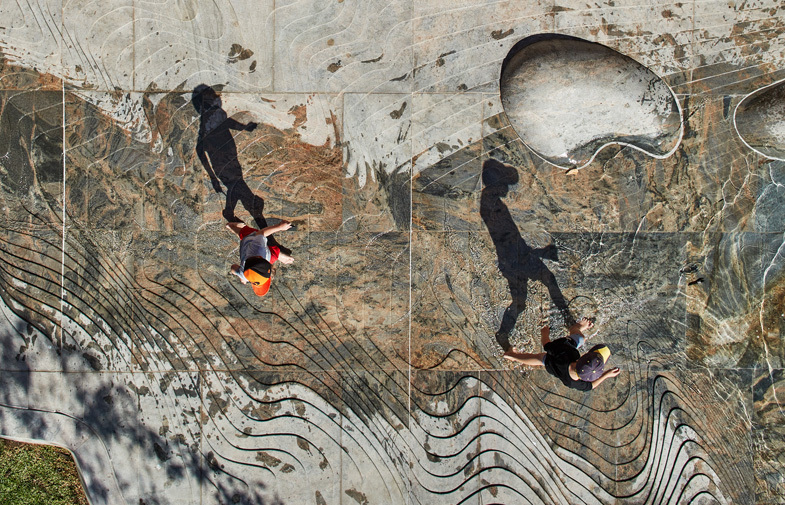 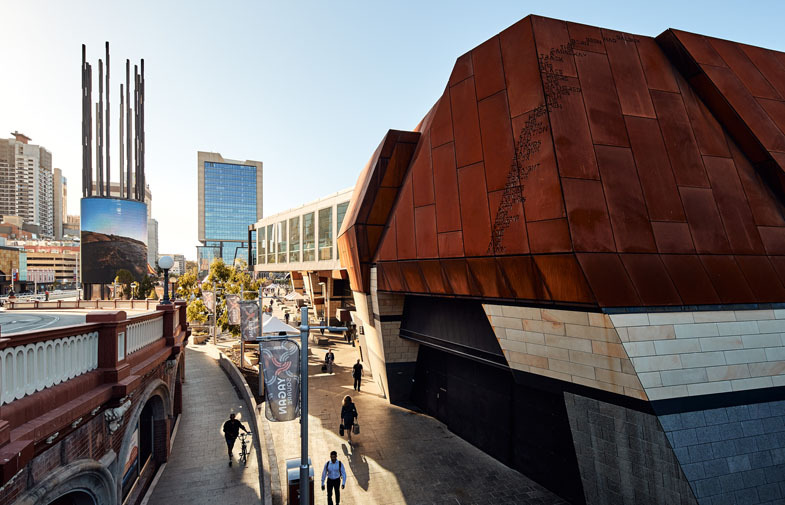 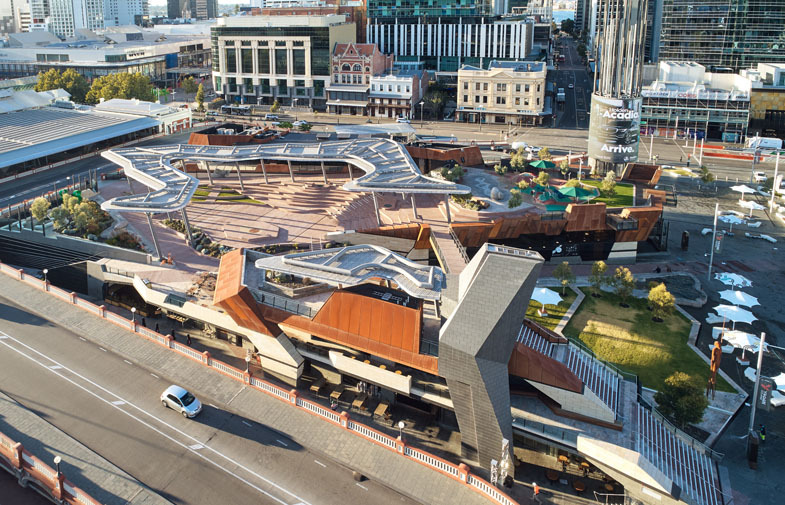 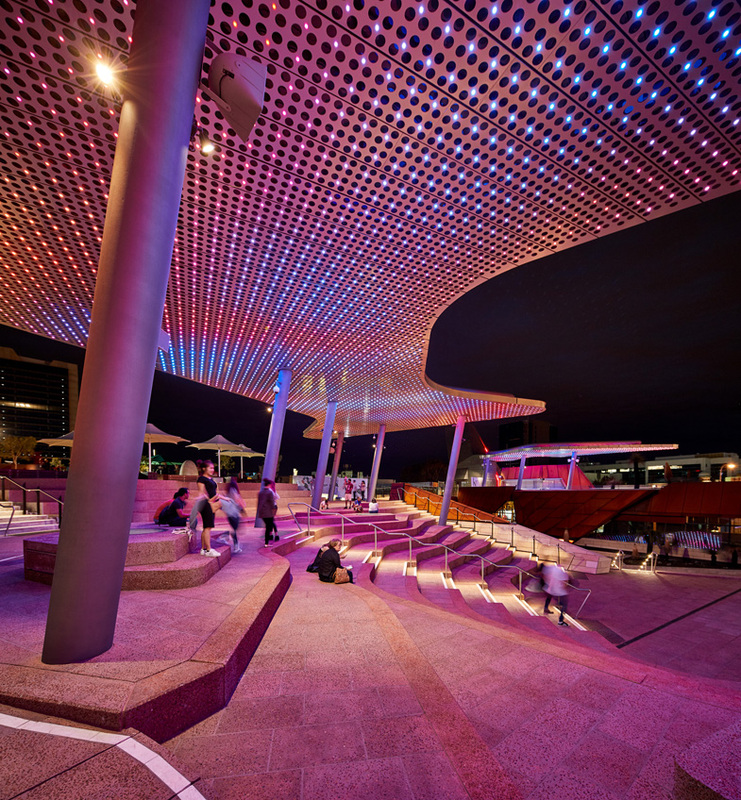 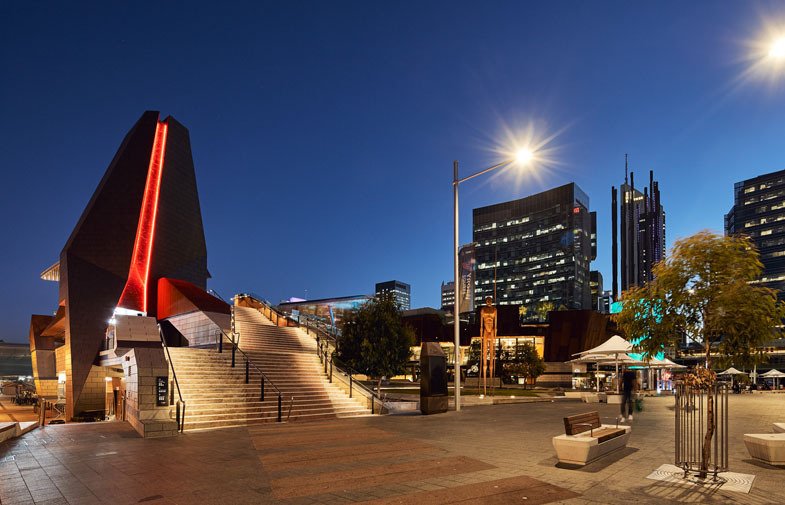 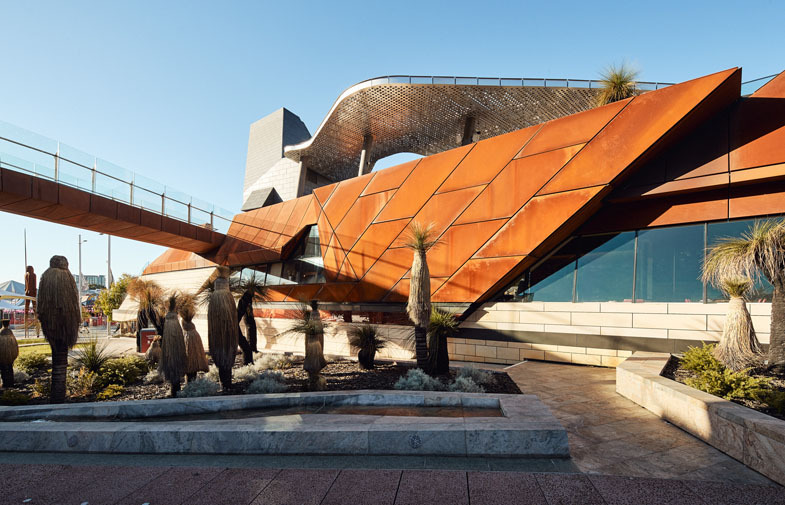 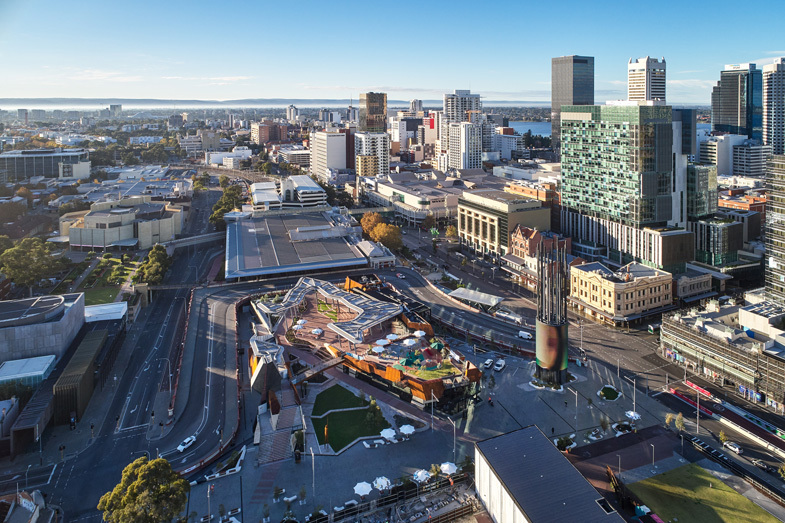 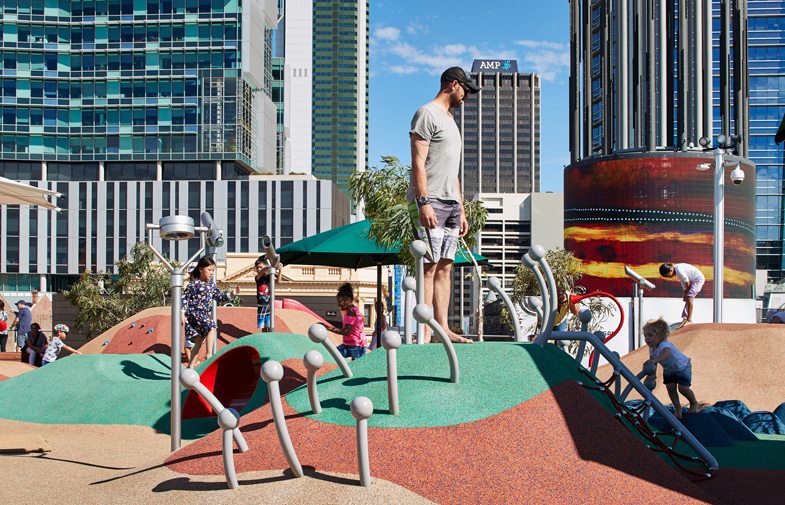 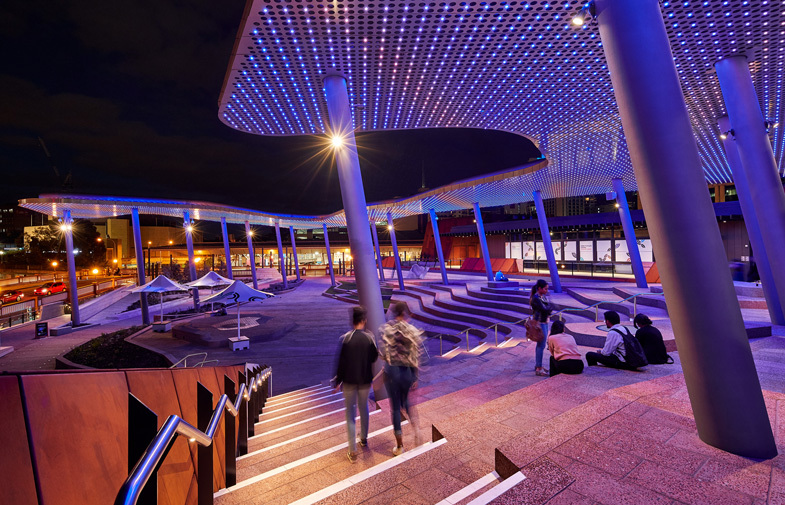 The architectural design concepts have responded to the imperative for Yagan Square to be an inclusive, welcoming and active cultural and civic destination, representative of a diversity of the local Perth region and broader Western Australia. 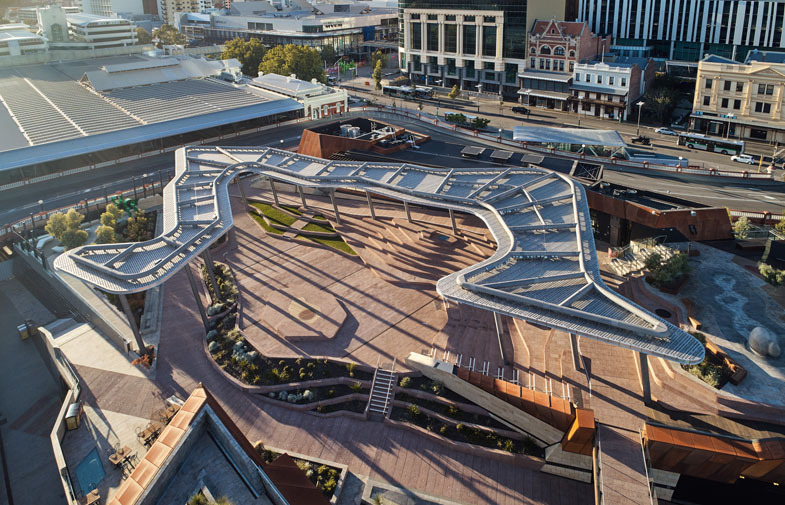 The concepts are representative of the ideas of convergence: of geologies, tracks, narratives, indigenous and non-indigenous people and culture within the Square. 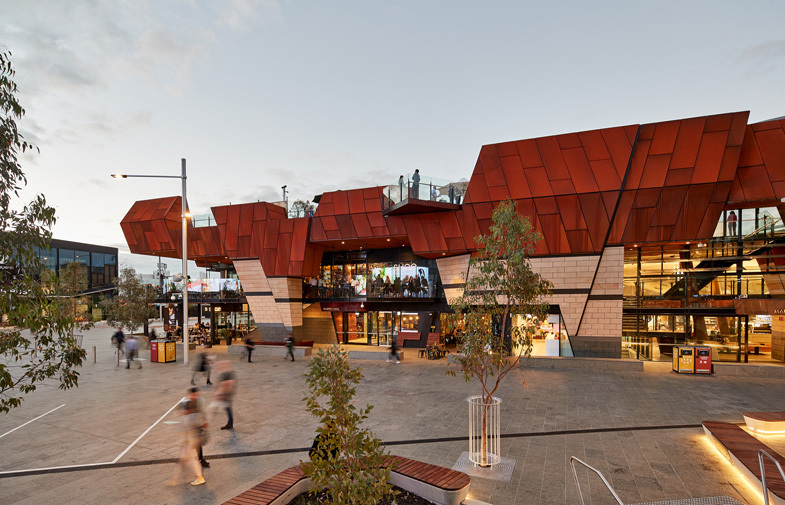 Lyons Architects in association with iredale pedersen hook architects and Aspect Studios.